It’s a funny thing having an image in one’s mind and then trying to go after it. As time has progressed I find my ideas are more and more subject to the ephemerality of nature (yes that’s a word…or should be). 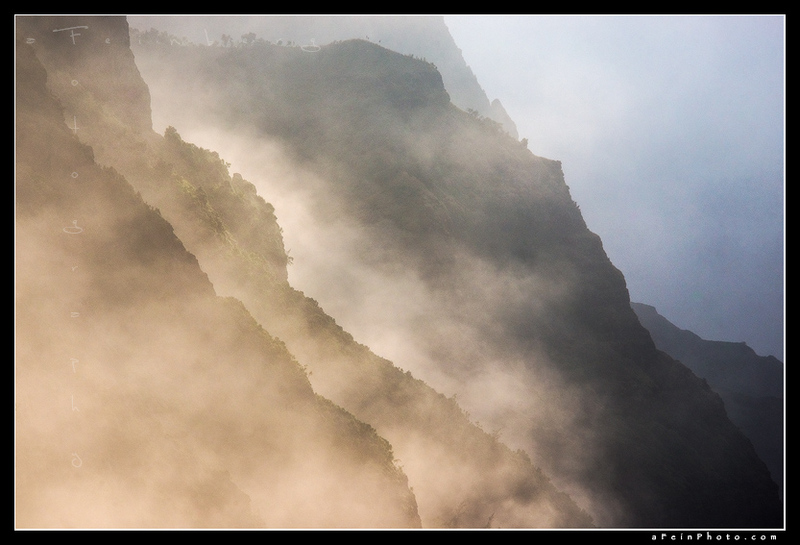 This particular afternoon the conditions were aligning to go after one of these such ideas; heavy ehu kai (sea spray) hugging the cliffs of the Na Pali at sunset. With the surf pounding the north shore of great than 30′ I knew the possibility was there. All I needed was a clear (enough) sky to the west and light winds to allow the spray to build. Getting to the trail I had a bit of extra pep in my step and managed to make the first .5mi in about 10 minutes. From there I was greeted with a welcome sight. I had shot from 2 locations in the area before and knew approximately where I should be but allowed some time to scout just in case. Posted in Image Discussion and tagged ehu kai, fog, kalalau trail, kauai, mist, na pali on February 23, 2015 March 26, 2015 by Aaron Feinberg. It had been years…many, since I had last taken a camera to shoot the Waimea Pier. The chance came up after a camping trip to Polihale on the west side of Kauai. On the way back home it was late enough in the day that we decided to stop by and catch a sunset at the pier. Having a few ideas already in my mind I set to work experimenting with different compositions. 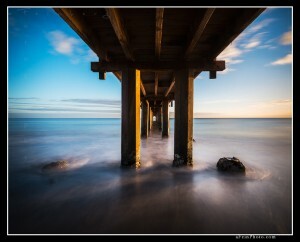 Running from standing on the pier to underneath it, trying to work as quickly as possible with the dwindling light. Comical I’m sure to watch. My goal for this session were long exposures so each time I set a shot and clicked I was waiting anywhere from 30-60s. Doesnt make for quick work. Posted in Uncategorized and tagged kauai, seascape, sunset, waimea pier on February 13, 2015 by Aaron Feinberg.